NOTE: Demo & evaluation programs should not expire. Please read brief reviews. FF: 1.8MB: win98/ ME/Win2000/ XP: Author: Dan Ciubotaru. Note: At least 64 MB of RAM is strongly recommended, 128 MB or more preferred. Configuration Hunter: Created to extend the existing functionalities of any other Astrology software you are using. It offers the ability to search for aspects and configurations within a chart or a series of charts and to display the results in a simple and analytical manner. The output is not graphical, just pure information. Supported configurations are: T-Minor, Grand Trine, Grand Cross, Kite and Rectangle. Aspects supported: Conjunction, Sextile, Square, Trine, Opposition and also custom angle. Includes, the 8 TransNeptunian planets used in Uranian Astrology: Cupido , Hades, Zeus, Kronos, Appolon, Admetos , Vulcanus and Poseidon. Current version at 8th Aug 06 is v2.1. Link on left is for download page as Dan Ciubotarus site also has other downloads, FAQ, updated configurations, and User Manual. Do visit for more info. there's lots of it! Check out the Astrolog web site for Dos, Mac, & Unix versions, and links re. Astrolog. And here's an FAQ page for using Astrolog. Transiton 0.9 FF: 125kb: Win9x: Author: D.H. Use with Astrolog 5.40. FF: Win9x: Author: Allen Edwall: Visit the Astrowin Website for Astrowin updates and Allens other programs, which include his free Electional & AstroAstroid (including source code) programs. A very well put together Windows astrology program. Customisable with good maps, and a straight-forward (non-confusing) interface. Directions - Returns - Cosmodynes - Midpoints etc. A pleasure to work with. Recommended. This program was updated March 2005 to Astrowin v3.30. Please vistit website for details and download. FD: Win9x: 1.87MB: Author: Allen Edwall. Source Code available at site. Another fine program from Mr. Edwall. Probably the best astrology program to help you develope an all-round understanding of natal & relationship chart analysis. It calculates charts, wheels, & bi-wheels for Natal analysis, Synastry readings, Composite charts, Transits, and dual Cosmodynes - Keywords are also included. FL: 989kb: Win9x: Author P.V.R. Narasimha Rao. Free Lite version of Jyotish/Vedic astrology. Will not expire. Six chart-type Printing options and also choice of black & white or colour printout. The program will Save charts & calculations as text &/or bitmap. You can create and Save/Re-load as many charts as you wish and also display two charts for comparison. The windows Help has a glossary of terms and other info. This program has an e-group for further information and discussion. Also has many other features not mentioned here. Please vist the website for details, description, and download(s). As there is'nt enough bandwidth at the site for downloading the software, the author has made it available on CD and only requests a donation (within your capacity) for mailing it to you. He has also made available two smaller downloads for those who feel they do not need the complete (full) version. Many thanks go to the Author for releasing it as freeware. FF: 9.212MB: XP, Vista, Windows 7: Author Kanak Bosmia.A SourceForge Project. Free source code available on request. This software is first in the series of Open source projects for vedic astrology. It uses the Swiss Ephemeris for accurate calculations, and ITextSharp for generating the reports in pdf format (http://sourceforge.net/projects/itextsharp/). Scroll down to; "KPMUHURAT Software (FREE) Base on Book \"KPMuhurat-A Novel Technique in KP\" written by Kanak Bosmia". It's a zipped .msi file. AstroSources FF: 705.4: Win9x, 2000, ME (Possibly NT & XP): Author Philippe Georges 2005. Philippes Website (English). A very neat and compact Astrological program with easy-to-use tabbed interface. Fast and pretty accurate calculations with text results which cover a number of approaches including Hindu Natshakras. There are 14 House systems to choose from plus optional Tropical or Sidereal calculations. The Lunation feature displays a graphic of the Moon Phase for the charts time & location. NOTE: This program is in French. If you have an understanding of Astrology it's quite easy to use, but on an English system (i.e. Windows) you will need to change the decimal setting in "My Computer\Regional Settings\Number tab". The English Decimal symbol is a dot (. ), whereas in France the symbol is a comma (,). so change the dot to a comma. The buttons & text etc.are in French so if you're wary of clicking them to discover the results you can download a picture of the first Tab (Data entries) with English text, from HERE. 39.5kb. All POSIX (Linux/BSD/UNIX-like OSes), Linux. Free software for Western and Vedic Astrology (Jyotish). Supports Classical Vedic Astrology, KP System and parts of Jaimini System. Western part includes Uranian Astrology. This program is subject to periodic updates so please download it from the SourceForge website. Online Help at the Saravali webite. Online Feature Descriptions & Overview at the Saravali website. Astroscan FF: Win9x: Author: Rus Logush: This is the Freeware version. A shareware version will soon be available. Author has devoted more than 25 years to the study of astrology. His main interest has been in developing astrology computer programs with innovative and alternative perspectives. Has a large database of birthdata. With win98se I was unable to enter full birth details, two of the input fields would'nt retain the data. FF: 3.60MB: Free for private & educational puposes. Author: Robert Amlung. Souce code available (Delphi). Powerful astrological tool. Uses Swiss Ephemeris. Able to share data with other Astrological programs for Atlas and Time Zone functions using the Astrological Exchange Format AAF. What Watch draws and prints chart wheels, including synastry and composite, draws tables of essential dignities, calculates element and quality balances and allows analysing birth aspects using a "harmonic aspectarian". It is also a tool for the experienced astrologer who wants to follow closely transit, progression and solar arc cycles, including transits on composite charts. The program creates ephemeris lists for any given combination of planets providing dates of the transit itself, of stations and of sign changes.... plus more. Additional ephemeris files, more details and source code can be downloaded from the Authors website. Stjernetegen by Listemageren = Pictorial Zodiac - beautifully done. Postcardware. No nag, no time-limit demo. A specific Horary program with tutorial-type help. Noon-only calculation.Unzip the tarademo folder onto your pc then create a shortcut from tara.exe. This program operates via a Menu window, click on something you want to do (enter horoscope details, access Settings, view horoscope as Chartwheel or Text data etc.) then click the Action button. It has 5 house options, uses the transplutonian planet ZED, plus the usual Natal, Progressed, Solar Returns, Transits etc. and a Cartography option. Interpretation uses Freudian & Jungian psychology. Manual not included, but it's quite easy to use. A user-friendly program which calculates radix, transit, progression, solar, transit, composite and more. It has a scriptlanguage called 'AstroBasic' with a complete development environment, providing many extra astrological functions. Please download from the author site for further information and where the registration code is also available. This program became freeware in 2007. Recommended. Just enter your birthday (or any date) and this program will give you an interesting description of your personality based on the numerology of your day of birth, the starscope of your month, and the chinese zodiac. Pleasant easy to use interface. 1) Unzip: Choose a directory to extract to. 2) Create a short-cut to your Start menu from the file, "astrol~1.icl"
3) Click the short-cut to run the program. 4) It scrolls through 207 astrology icons. Option to Save and rename icon(s). As above with extra features including Daily Aspects, Transits to transit, sign ingress, 11 House Systems, Calendar and more. FF: 591kb: Win95/98/XP/NT/2000: From Vega. Webpage.. Desktop chart wheel which can be minimised to the System Tray (Icon = Rising sign). Updates every minute. Has a number of settings/options which include; 3 House Systems, Show House Cusps/Angles/All; Sidereal/Tropical; Optional planetry display inc. Chiron; 12 Aspects plus 1 Custom Aspect; Custom orb settings for Natal/Transits; Void of Course Moon settings.. and more. NOTE: This free version has no Help file. FF: Winx: This is a mini-featured (demo) introduction to the Kepler astrology program(s). From astrosoftware. No nag, no time limit. Only calculates natal & progression charts but is complete in itself. Stargaze v2.61 FF: 1.356MB: Win ME/95/98/NT4/2000: Author: Ray Middleton. Updated 2005: Draws and Prints naked-eye maps of the sky for any location on earth showing the positions of the sun, moon, planets, stars and some Messier objects. Displays the maps in real time, time-lapse animation plus star maps of the Northern and Southern hemispheres. Also has the ability to trace the path of a single object. Maps can be saved as Windows bitmaps, Windows metafiles or printed out. Program has other features not listed here. Please visit Rays' download page for info on this and his other programs. A comprehensive astronomy / space / satellite-tracking package. The user can view and print out the planetary positions for any date and time, the moon phases, and other astronomical events as well as earth-orbit satellite positions. Note: This download is the Lite version, full version is also freeware, see below. FF: 6.89Mb. The Full HomePlanet astronomy program (See Lite version above). Please visit this website for further info. about this version. Information about the nine Planets and Sun of our Solar System. This is a learning/teaching program. Select TEST, then opt for Hints &/or Names. Just unzip the download file into a folder (e.g: "Planets1.0") & doubleclick planets.exe to run the program. A complete planetarium, showing you the appearance of the sky, as seen from anywhere on Earth, for any date. With a click of the mouse, it's possible to have various information about all objects displayed by the program. So please visit the website to see if Mr Richard has continued to make them available. Recommended. Certain functions (such as the use of the Tycho 2 catalogue and the high resolution textures) are temporarily disabled. If you wish to use the complete version of this software, you have to purchase a users licence. homesite FF: 5.33MB: Win9x: Authors: Noel M. Swerdlow, The University of Chicago and Rainer Lange, alcyone software. This program displays a 3-color graph which shows when a planet, moon or sun is visible during any year from 3000 BC to AD 6000 at any location on the earth. Months and hours are marked by verical & horizontal axis.The times of sunrise and sunset can be shown on all the diagrams. By moving the mouse over the diagram, the date and time along with the objects altitude, azimuth, and magnitude, or the phase of the moon, are displayed. Additionally, it includes diagrams of solar and lunar eclipses, of the rotation, inclination, illumination, and apparent size of the bodies, and of Jupiters satellites.Settings & graphics can be Saved & Printed. A very comprehensive package with many more features. Indepth planetry info. plus full documentation at the homesite. Recommended. Page for Shareware ver. FF: 1.97MB: Win9x: Lite version: Author: David Grigg: Author is a serious sci-fi man. This program provides for research or speculation re. Gravity, Time, and the Planets & Stars. "The prime purpose of Gravitorium is to .. play with ideas about gravity and gravitational systems and the planets. It's not intended to be a serious or particularly accurate solar system simulator, though at low speeds its accuracy is really pretty good, at least for modest periods of time (a hundred years or so). But it is good enough to get a good general impression of the likely course of events in a particular planetary system....."
Your Program.....? or Free Astrological / Astronomical program that you've found ? AA Resources & Links The Resources & Links page at the Astrological Association. A good comprehensive listing. Why not join? They have an extensive online database available for members. CelebrityDatabase A free-access online database. Holds birthdata of the famous & notorious, past & present. Just enter a name. Sidereal Astrology Info & articles on the difference between the Sidereal & Tropical zodiac. Mike Magees site. The Basic Symbols Tables of planetry & zodiac glyphs/symbols and their meanings. Basic Tutorial Tutorial for beginners from the Mountain Astrologer. A step-by-step guide to understanding the elements of astrology and a horoscope. Celtic Astrology Fully researched information on Celtic Astrology (Ogham Tree Zodiac). See link on Celtic page for more info. Your Sign of Success This is a free online interactive reading for the planet Jupiter and it's zodiac position on the date of your birth. Amongst other things Jupiter is also representative of Success, and this is the area which the reading covers. This is Maggie Hydes' website. Astrocartography Info Astrocartography - the Astrology of Location. A.K: Future Predictions This is A.Ks site where you will find future predictions for each month. It's very comprehensive covering a number of different areas of prediction based on current astrological aspects. You can also see regularly updated predictions & lots of info. for Earthquakes at this page Earthquakes. And daily preditions for the Dow Jones, Nasdaq, US. stock market here: Daily Stock Market. Step by Step online Tutorial. Know your distinctive characteristics, traits and behavior, understand friends & relationship - exclusive to your (Indian) birth chart. Chinese Astrology (1) Chinese astrology by Shelly Wu. Chinese Astrology (2) More Chinese Astrology plus info about each hexgram etc. Tibetan Astrology This web site offers an introduction to Tibetan Elemental Astrology with some basic calculation examples. It includes info re:- Tibetan Calendar, Animal Signs, Elemental Horoscope, Sipa-ho-tangka and Literature. Tibetan Astrology originated from several different traditions: Indian, Chinese, the local Bon religion, and the Buddhist Kalachakra tantra. This site explains the elements of these traditions as they relate to Tibetan Astrology. Also has Tibetan astrological Links. Astrologer Search Search site where you can find an Astrologer - by, name, locality or astrological speciality. Zodiac Zepher Huge site with lots of Astrology links. Astrology.com More Astrology links - these are arranged into catagories. 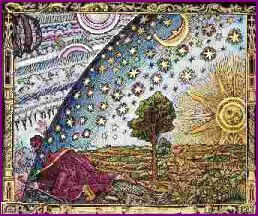 Very informative and comprehensive Astrology site. Whether you're a beginner or studying specialist areas there are resources and links for all, plus (free) software downloads. Recommended. your link here..........? Do you have an informative or interesting Astro-site? or have you found a good link?